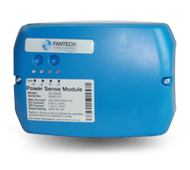 The VZ-ISNSE is a 240V AC power sense module that provides automatic on/off control of a fan or exhaust fan system. The unit detects the current of the circle to an appliance, i.e. Clothes dryer, closing and opening the relay when the load sense range parameters are met.